It’s storming right now and I’m very close to hiding under the table. But there’s too much to do for the subbing team to be hiding out like that. 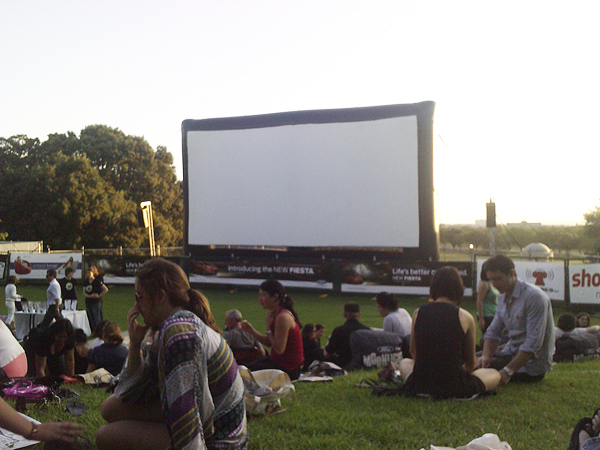 After they left I went to Moonlight Cinema with my sister + her boyfriend and my cousin. Here they are (minus the cousin) bumming around with their phones.